Does it get much better??!! 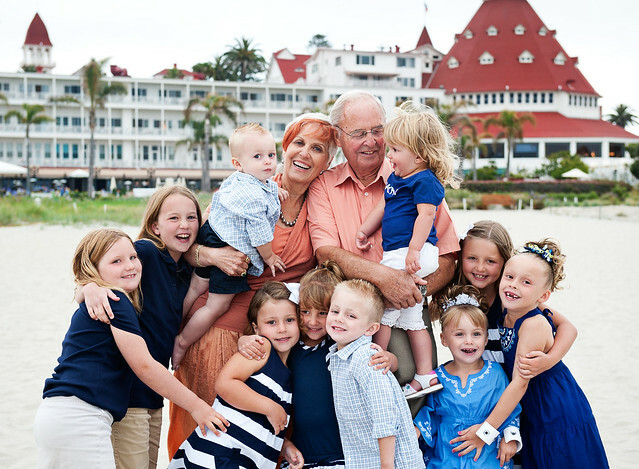 Loved taking pictures for this darling couple celebrating their 50th wedding anniversary in Coronado with all their beautiful children and grandchildren! Fantastic photo of Grandma & Grandpa Mills with the kiddos! We had such great time with Ashley, so excited to see the rest of the pictures!! I'm so anxious to see the rest of the pictures. I love this one. So many moving kidlets, but you quickly got us all into great composition mirroring the roof lines etc. You've done a heck of a job--everyone is having such a good time--must have been the promise of the "chicken dance." You sure captured the flavor of the vacation in this one. Such a cute picture! Thank you!! Cant wait to see the rest!